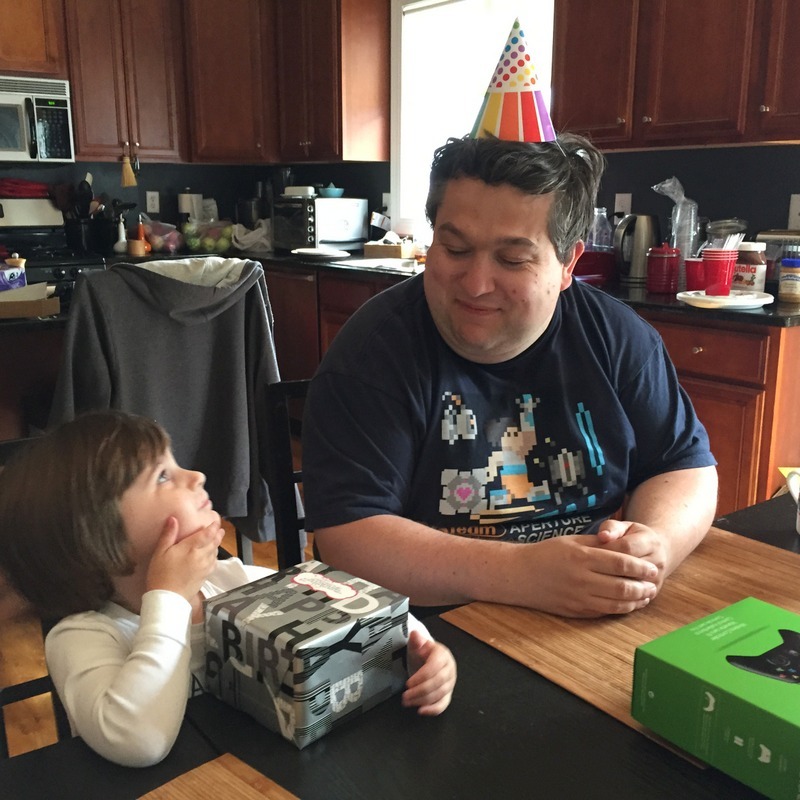 Adam’s birthday was on Sunday, and we had a great weekend. We snuck out on Saturday for a date night to see Everest. Then we spent Sunday having fun with H.
The photo of him above because is my new favorite photo of him and H. H insisted on the party hat. His parents gave him an Apple Watch, but H didn’t want to fork over the wrapped treat. And their faces…that’s my entire heart right there with those two. Let me just say, this is my…12th Adam birthday? And every year that rolls on through, I am more and more grateful for the life and the family we’ve built. That we found each other, two happily matched souls. I never get tired of seeing that face every morning, and he’s still the rock I go to for a listening ear and a new approach to a problem. The way he thinks, the way he works, the way he…familys, for lack of a better word. I picked a good one. 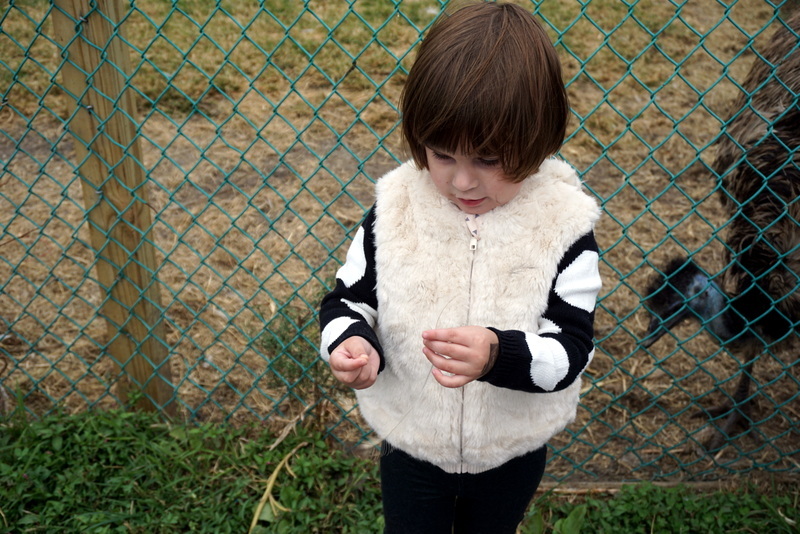 But, the rest of my photos are of cake and the three-year-old. My husband is a shy guy. I just got a new camera, a Sony A6000, because I struggle with my DSLR. It’s older, it’s huge, it’s not as streamlined or easy to use. Adam’s the big photog in our family, so he helped me settle on something new. This is really my first batch of photos with it, and I’m loving this camera so far. So. Birthday day. 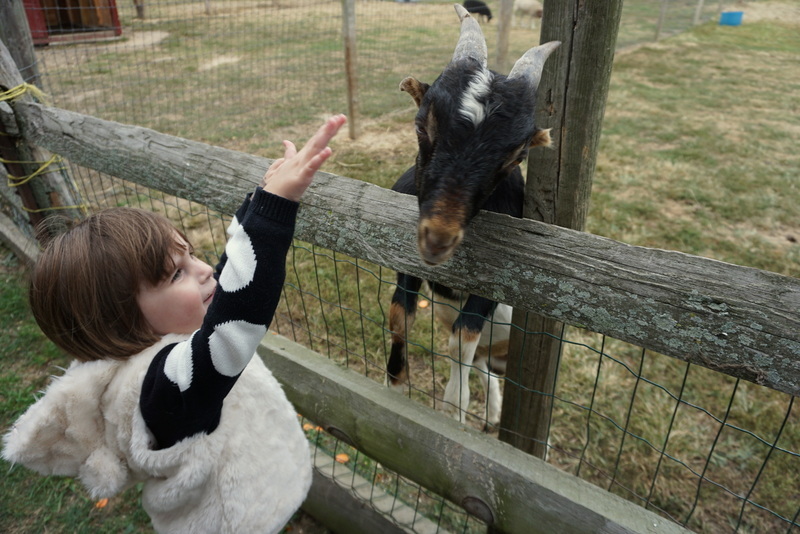 We headed out to Hinck’s Turkey Farm for one of our annual fall lunches, and then we went next door to Atlantic Farms to feed the animals and pick a pumpkin. Watching this child run around outside, saying “hi” to every animal…how could you not have an awesome birthday with that?! 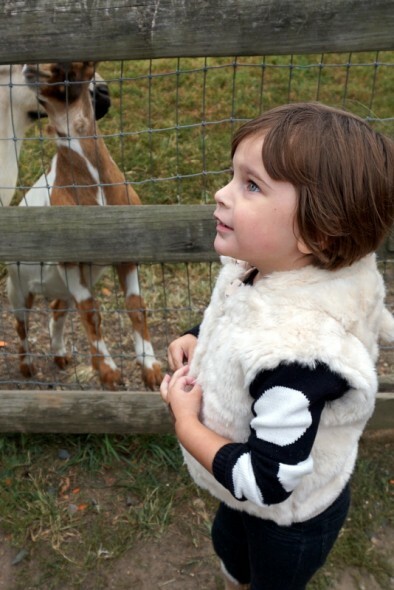 Adam was out of town last weekend celebrating the big 4-0 with one of his buddies, and H and I went apple picking. 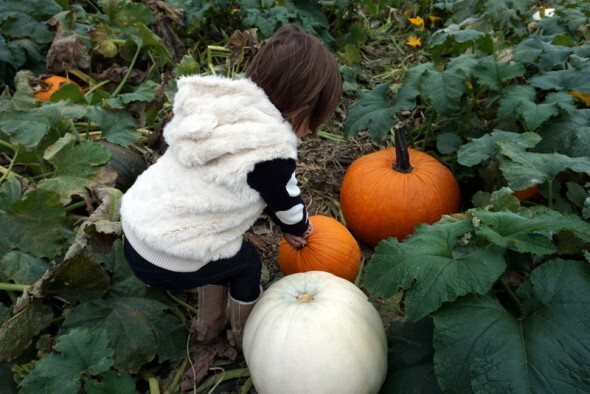 We almost got a pumpkin, but she insisted we wait for daddy. A wise decision. He helped carry her special pick. H also helped me make some cupcakes for her dad. She decided they would be chocolate, with vanilla frosting, and in cupcake form. She helped me dig into my cupcake papers for my Union Jacks (seemed fitting). 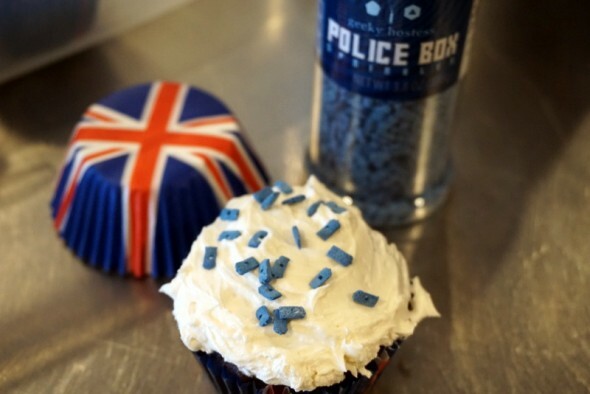 Oh, and I got to use my Geeky Hostess TARDIS sprinkles!